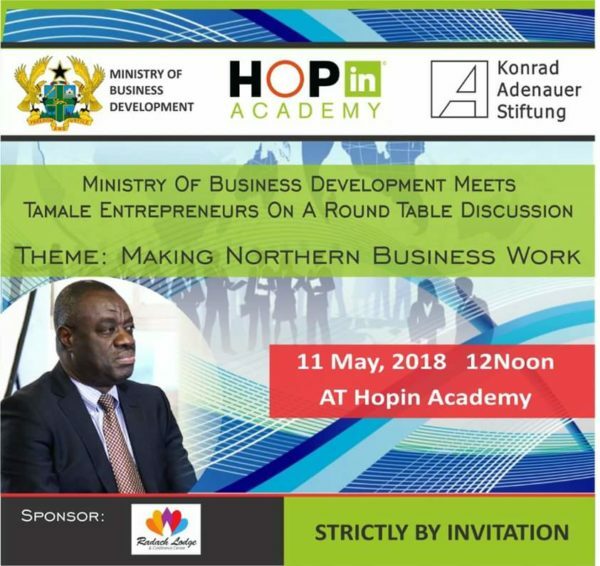 The Minister for Business Development, Alhaji Mohammed Ibrahim Awal will be having a round table discussion with entrepreneurs and stakeholders at the premises of Hopin Academy on Friday, 11TH May, 2018. 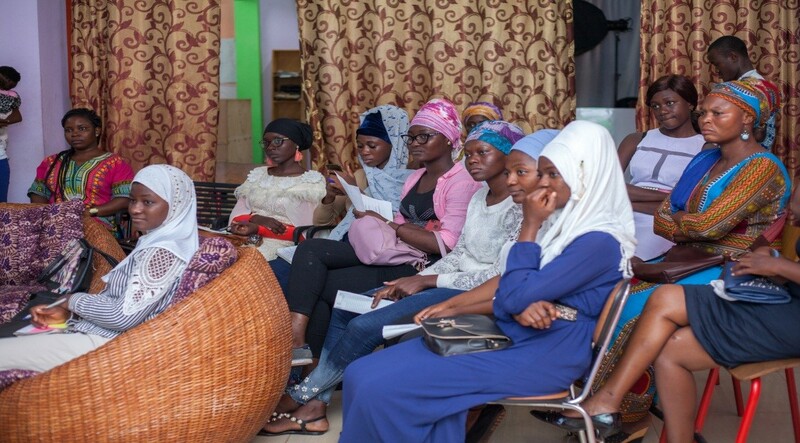 This round table discussion is about enhancing entrepreneurs with the government as an enabling tool to introduce policies needed to create supportive entrepreneurial ecosystem in northern Ghana. The event is organized by Konrad Adenauer Stiftnug and Hopin Academy. Proudly sponsored by Redach Lodge. ‘Making Northern Business Work’ is the theme for the event. To join this round table discussion with the Minister for Business Development at Hopin Academy are the representatives from Konrad Adenauer Foundation, other Germans delegates and stakeholders.